Every town across the US has its way to celebrate the holidays. So, this year check out one of these picture perfect American towns and holiday away from home. Like the idea of the world-famous Christmas Markets in Germany, but cannot or do not want to travel to Europe for the Holidays? Then head to Leavenworth, a tiny town that comes alive with holiday cheer during the Christmas Lighting Festival. Christmas music fills the air, Santa makes an appearance, and bands and solo artists perform live music. There you will find the traditional roasted chestnuts, mulled wine, and other treats. Plus, there’s plenty of Winter activities happening all season long in and around town like sleigh rides, snowshoeing, tubing, skiing, and snowboarding. If you love the holiday season but want do without the snow, think about heading south to St. Augustine, Florida. Every day, the centuries-old Floridian town attracts tourists with historically significant sites like the Fountain of Youth, the Spanish Quarter, and Castillo de San Marcos. And then there are the beaches. However, around the holidays, St. Augustine becomes even more attractive with its 2-month-long Night of Lights event. 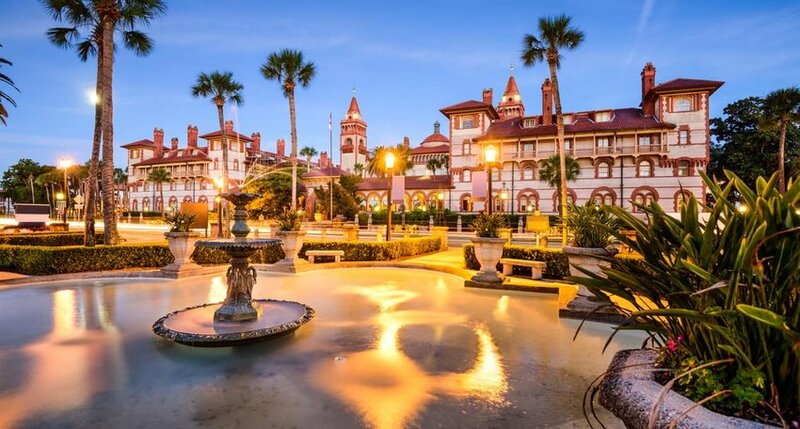 St. Augustine’s decked-out historic district glows with 3,000,000 lights, the Old Town Trolley offers special seasonal tours of the area, and horse-drawn-carriages trot through the streets. Businesses stay open late, allowing visitors to leisurely dine and shop in the festive atmosphere. Other popular activities include craft beer brewery hopping, wine tasting carriage tours, and boat tours of the lights. Jackson Hole is an enticing place for skiers and snowboarders to spend the holidays. 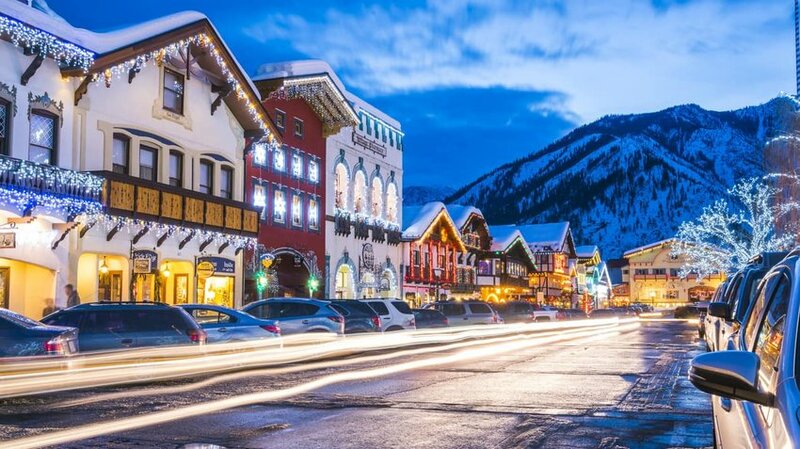 Even if these Winter sports are not your thing, there is still magic in the air that makes this one of America’s most charming holiday destinations. 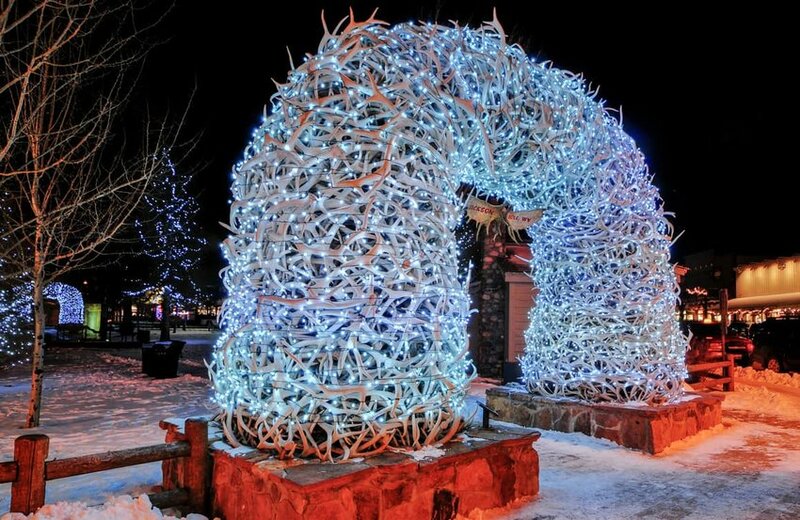 The town square’s iconic elk antlers arch wrapped in lights sets the scene. Want to get up close and personal with live elk? Then there a sleigh ride tour through the National Elk Refuge with your name on it. Santa appears every night in the town square in the 2 weeks leading up to Christmas and even makes a scheduled repelling debut out of the town’s sky tram. An annual comedy Christmas show performs every night at Jackson Hole Playhouse, fireworks and a torch-lit parade light up New Year’s Eve, and nightly events like ornament making and tree decorating, ice skating, and movie night hosted at Jackson Hole Mountain Resort provide endless family entertainment. Have a Happy Holiday Season where ever you are!